Made of Synthetic Leather (Amara) in Black Color (Available in Different Color). Back Spandex Fabric in High Visibility Color. 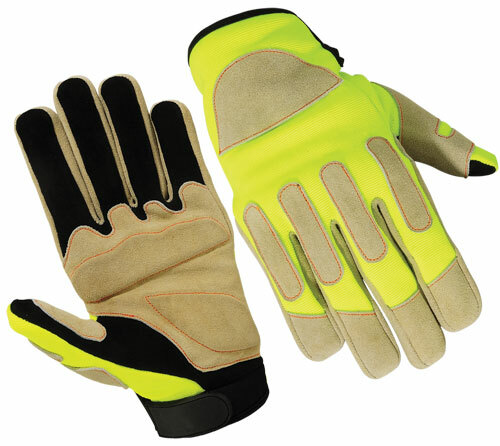 Reflector on Two Fingers Tips and Knuckle Bar with Foam Padded.